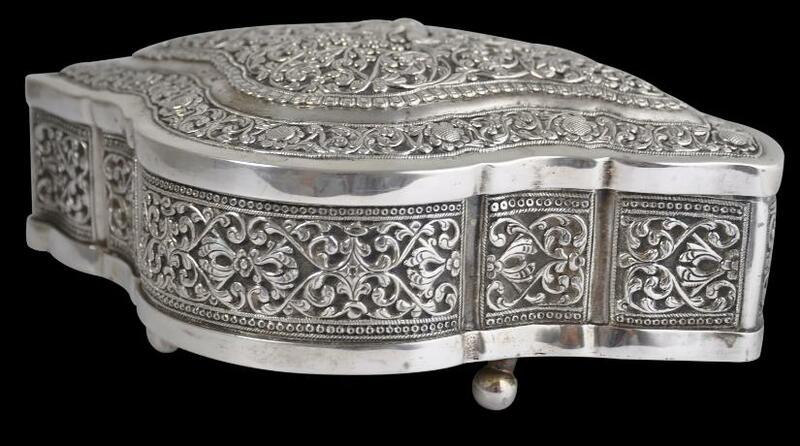 This very fine silver box with pronounced scalloped sides has a tightly fitting hinged lid, and a slightly domed lid. 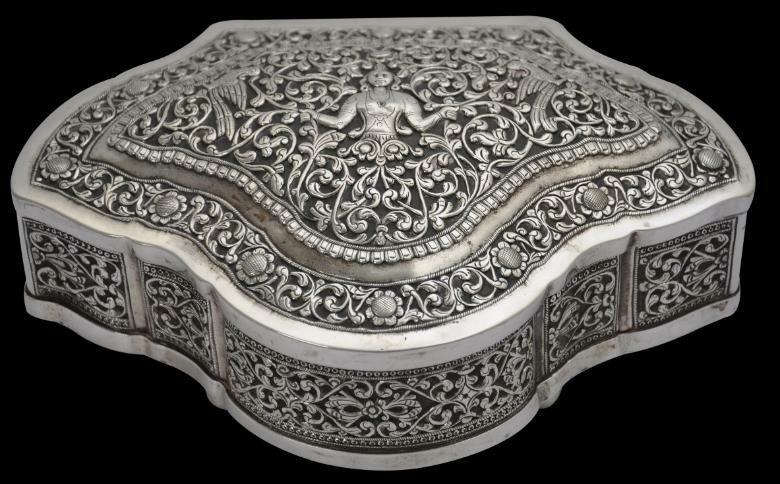 The box sits on four spherical silver feet. 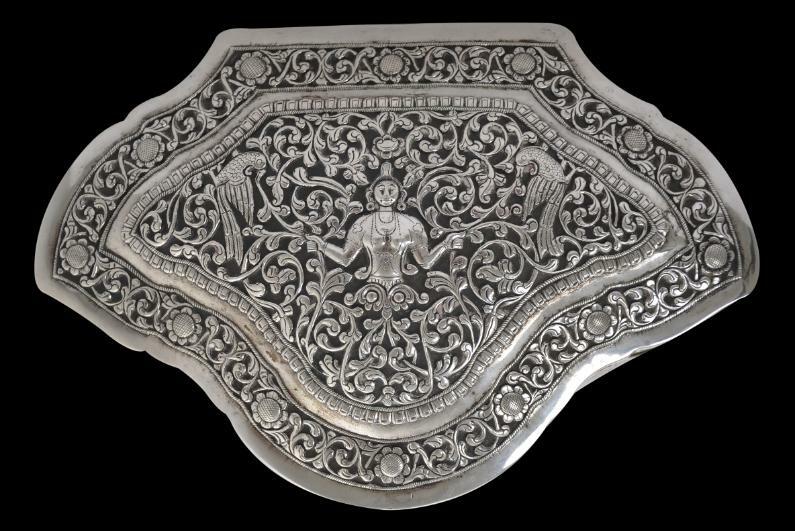 It is finely chased on the cover and all sides with superb panels of complex, interlocking Sri Lankan or Ceylonese vegetal scrolling within fine, floral borders, including the pala-peti petal motif border. 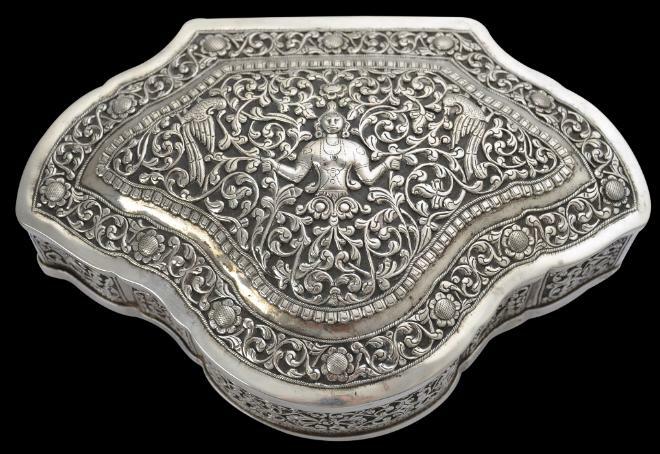 nari lata) is at the centre of the lid, and on each side is a parrot (girava). The nymph among foliage is known as the nari-lata-vela pattern. bherunda pakshaya) surrounded by scrolling foliage. 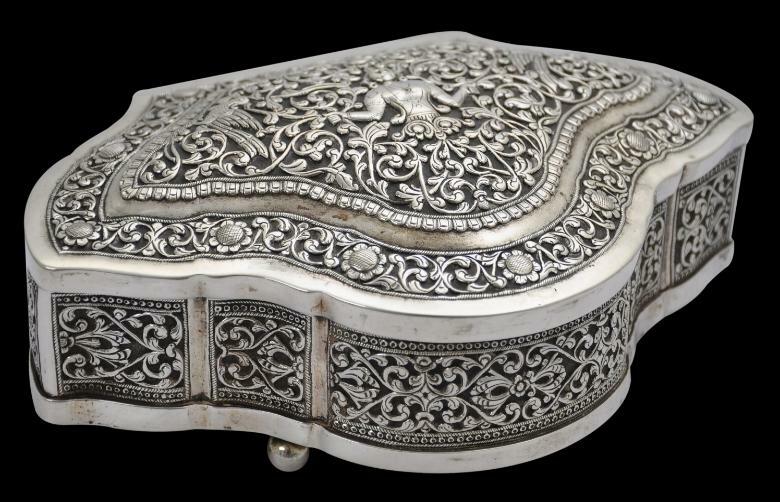 Such boxes were used by the Kandyan nobility and others to store small items of jewellery. 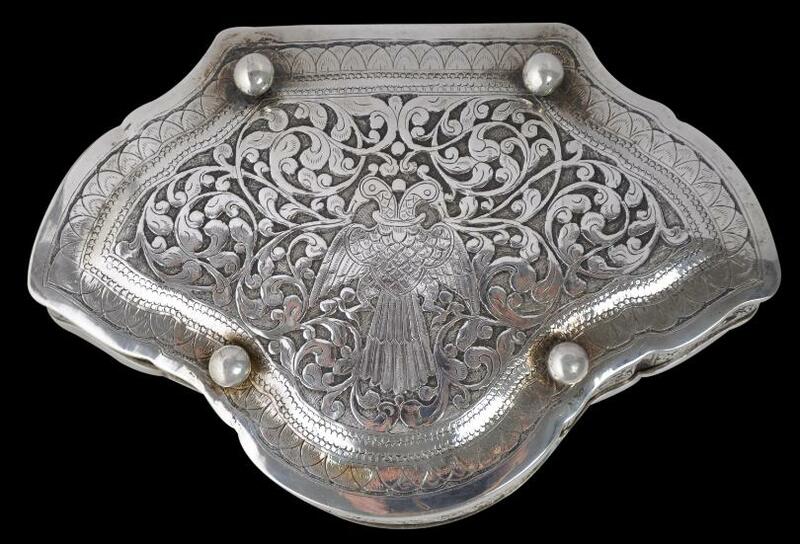 Most probably they were also produced for the nineteenth and early twentieth century colonial market as keepsakes and to showcase the silversmith’s considerable skill. The box has a good weight. 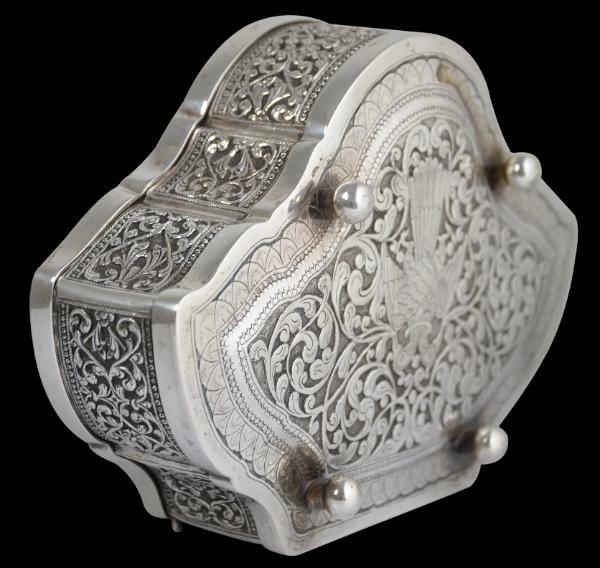 It is in excellent condition, and is a particularly fine example of this type of box with its complex use of typically Kandyan motifs.